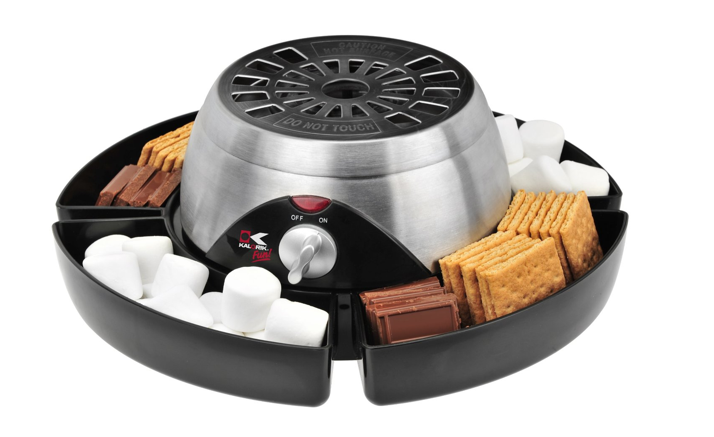 S'mores Maker Only $42.65 + FREE Shipping (Reg. $59.99)! You are here: Home / Great Deals / Amazon Deals / S’mores Maker Only $42.65 + FREE Shipping (Reg. $59.99)! S’mores Maker Only $42.65 + FREE Shipping (Reg. $59.99)! If you love s’mores then you have got to check out this awesome deal! Right now you can grab this S’mores Maker which has been reduced to only $42.65 + FREE Shipping (Reg. $59.99)! !